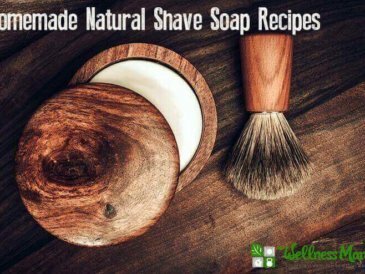 Castile soap is a valuable tool for natural living. It is very versatile and can replace many, if not all, of your commercially prepared, chemical-laden detergent cleaners. Traditionally the term castile, in regard to soap, referred to a hard white soap made from olive oil. It was named for the Castile region of Spain where they made soap only using olive oil. In recent times this term has become more loosely defined as a pure vegetable based soap (void of any animal products). A pure olive oil soap makes a moisturizing soap but it doesn’t lather well, so many soap makers find that using a blend of different oils allows them to customize the properties of the soap better. Most castile soap today is actually a blend of olive oil, coconut oil, castor oil, or any other commonly used vegetable oil. Castile soap can be made as either a hard bar soap or a liquid soap. There are several good brands available. Dr. Bronner’s is the most well known and I get it at a discount here. Hard soap bars are a result of mixing oils/fats and sodium hydroxide (lye). Liquid soaps are a result of mixing oils/fats and potassium hydroxide (caustic potash). Many people are concerned about using these caustic compounds and wonder how something can be “natural” when it contains them. The beautiful thing about chemistry is that you can combine two substances to create a chemical reaction which yields an entirely new substance. Take salt, for example. Naturally occurring sea salt is a chemical compound consisting primarily of sodium and chloride. In it’s pure form, sodium is a metal that reacts violently when exposed to water and chlorine is a poisonous green gas that has been used in chemical warfare. But together they are salt; a naturally occurring resource valuable and necessary for life. 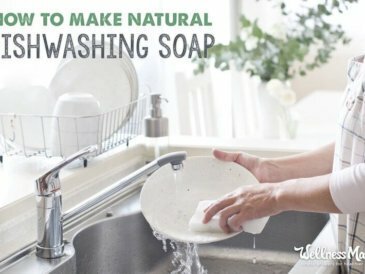 The point here is that soap, if made properly, is a useful cleaning tool that is safe and gentle for use on your skin and for cleaning in your home. You are no more rubbing a caustic chemical on your skin than you are trying to clean your dishes with olive oil. 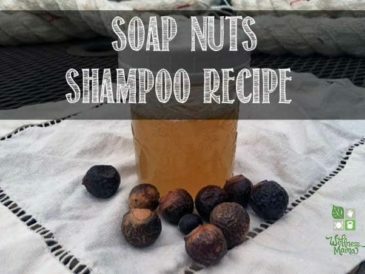 Homemade Natural Shampoo – You can make a simple homemade shampoo that actually lathers with just a handful of ingredients that you probably already have in your home. The castile soap gently washes away dirt without stripping the scalp and the coconut milk is nourishing to the hair and helps prevent breakage and hair loss. Homemade Natural Body Wash – This moisturizing body wash combines the cleaning power of castile soap with the soothing and antibacterial properties of honey for a body wash your skin will love. Foaming Face Wash – Your face is your most prominent feature and therefore should be treated with delicate care. The beauty industry wants you to strip, exfoliate, and chemically peel your face into oblivion and often times these “solutions” create a vicious cycle of “need” for more products. The best way to care for your skin is to eat healthy foods and to try to preserve the balance of natural oils your body produces. Using castile soap on your face will not strip it of beneficial oils, but will do what soap is meant to do, remove the dirt. It may take a bit for your skin to adjust, but your face will thank you. 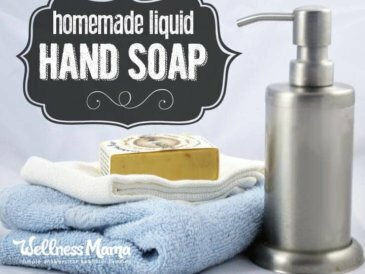 I use the recipe for foaming hand soap and customize the essential oils for your skin needs. Tea tree and lavender are good for acne prone skin. Use frankincense and lavender for mature skin or sandalwood and chamomile for dry skin. Shaving– Conventional shaving creams are full of many toxic ingredients. And just like other personal care products, it is relatively easy to mix up some of your own shaving cream. Here is an easy recipe for your legs and one that is more gentle and suitable for a man’s face. If you want to keep it really simple, just lather a few drops of liquid castile soap and rub all over your legs. Then just shave! Foaming Hand Soap – If your house is anything like mine, you go through quite a bit of hand soap. 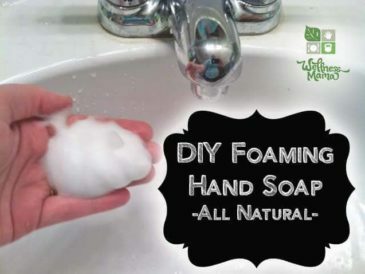 It can get expensive to buy the foaming versions in the store (we don’t use antibacterial soap anyway) but the good news is that it is incredibly easy to make it yourself by reusing a foaming dispenser and my foaming hand soap recipe. Homemade Natural Baby Wipes – It is especially important to keep toxic ingredients out of your baby’s life. They are so small and all of those chemicals can have a huge impact on their little systems. Even before I switched to cloth diapers and organic baby clothing, I was making wipes for my little ones. It only takes a minute and they can double as face and hand wipes for all of your children. 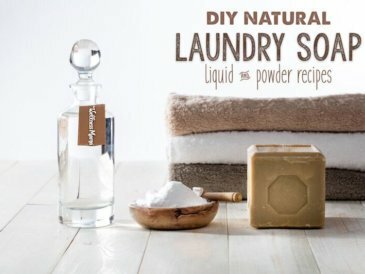 Natural Homemade All-Purpose Cleaner – I love this cleaner for just about everywhere in my home. I use it for grimy messes on the floor, stubborn stains on the trashcan, in the bathroom, and on my patio furniture, just to name a few. It is very easy to make and considerably less expensive than other natural cleaners. Give it a try and attack those tough stains! Mopping – Mix 2 tablespoons of liquid castile soap and 1 gallon of hot water in a bucket to mop your floor. Hand-Washing Dishes – Add a squirt to hot running water when you are filling the sink to wash dishes. This won’t bubble and suds up like a detergent would, but the soap is still in there doing its job. For tough, stuck-on food, allow dishes to soak before you scrub them. Windows – While it isn’t necessary to use soap for regular mirror cleaning in your home, if you are switching from a store bought cleaner you may need to add a few drops of liquid castile soap to your homemade window cleaner to remove the residue left by the commercial cleaner. Also, if you will be cleaning your exterior windows, the added castile soap will help clean away the grime and dirt they are exposed to all year long. Dog Shampoo – the amount you use will vary depending on the size of your dog and the length of it’s hair. Thoroughly wet your pup’s hair. Pour the appropriate amount of castile soap into your hand and work it around in your hand for a few seconds. Then begin to massage it into your dog’s hair until you have covered his whole body. Work it into a nice lather and then rinse. Plant Bug Spray – Keep bugs away from your plants by spraying them with a mixture of 1 tablespoon castile soap to 1 quart of water. Or, for an ant spray, increase the soap to 1/4 cup and spray in problem areas. Just don’t use this higher concentration on your plants as it will burn them. This versatile soap is now available in many grocery stores and is widely available online. I personally use Dr. Bronners. I’ve ordered at a discount from Thrive (a membership site) or from Amazon. Will you try any of these recipes? 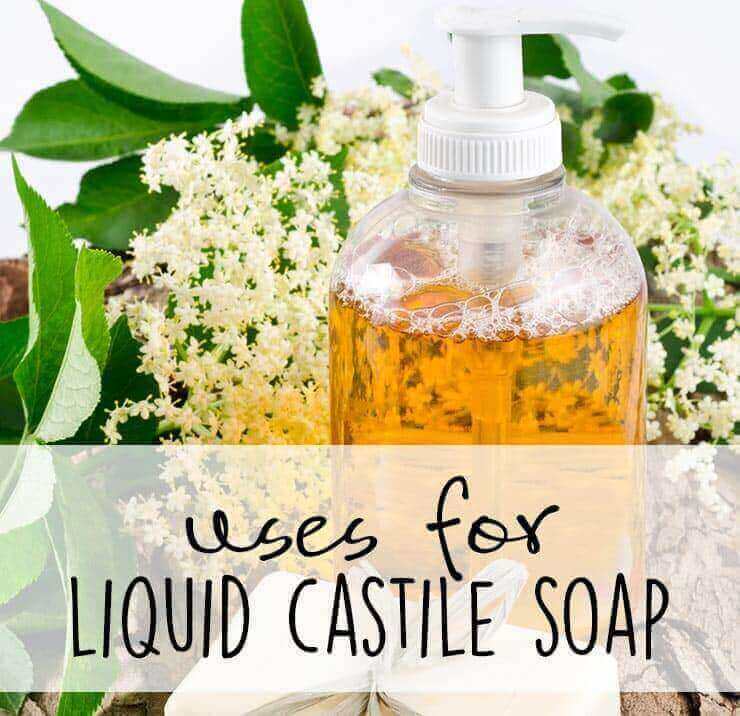 How do you use liquid castile soap?